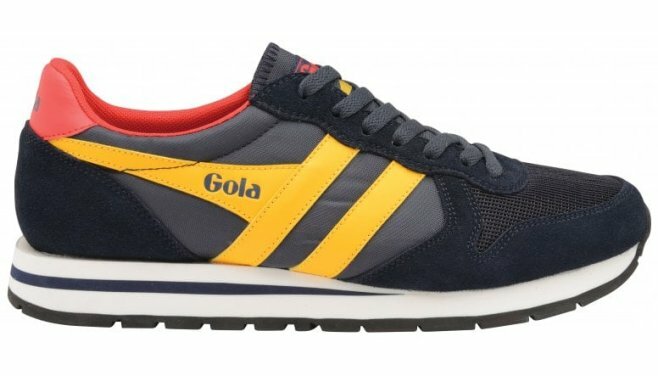 Gola Daytona for men is a vintage jogger with a ‘90s colour palette. 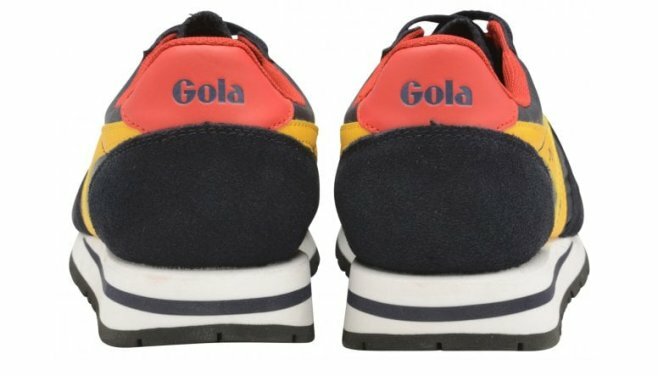 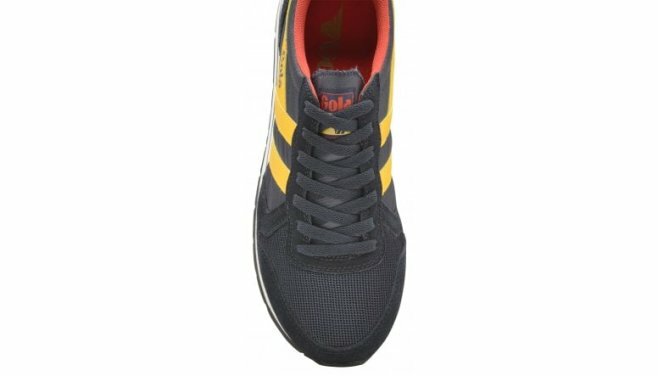 This reimagined running silhouette from the Gola archives features an EVA stripe midsole and cleated outsole with a tri-colour upper. 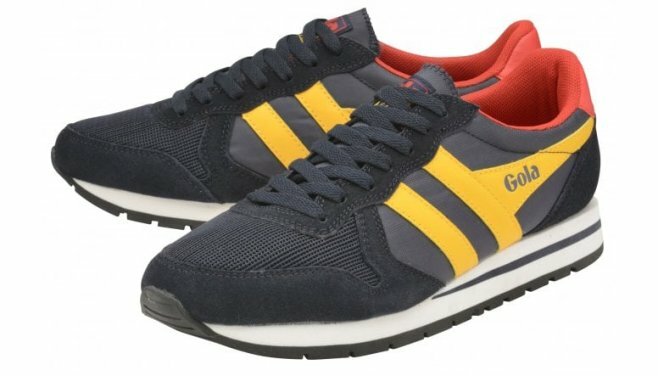 This heritage sneaker ups the ante in summer footwear, giving a striking navy, sun and red colour pop to an outfit.